I can’t say I’m a great planner. Ask my friends whom I stood up for 45 minutes the other night because I was sitting in bed thinking Gosh, I’m pretty sure I had something today but I don’t see it on my ical . . . .
And I can’t pretend this summer hasn’t been a blur of pregnancy related illness, one massive trip to the East Coast we kinda fumbled through, a grueling soccer camp that the two older kids loved and I languished in the heat for two+ hours each morning (but honestly just talked to my mom friends the whole time so while eating the snacks I brought for my kids__^_^__), and now it’s August with more travel and trying to get my life around the fact my oldest will go to school and needs things hemmed. And I’ve reopened my etsy shop with fall blankets and gift sets! Leggings coming soon (if you want to be the first to know when they launch and have first dibs on fabrics and a discount, newsletter for it is here). And yet, it has been my favorite summer because we weren’t stacked up with a million activities. The day-to-day has been hanging out, enjoying the seconds of quiet between the indignity of children who live with other children, and remembering that pretty soon I’ll need to be “on it.” Like, don’t forget to pack a lunch for your kid so now you can’t just grocery shop whenever but must plan ahead, on it. 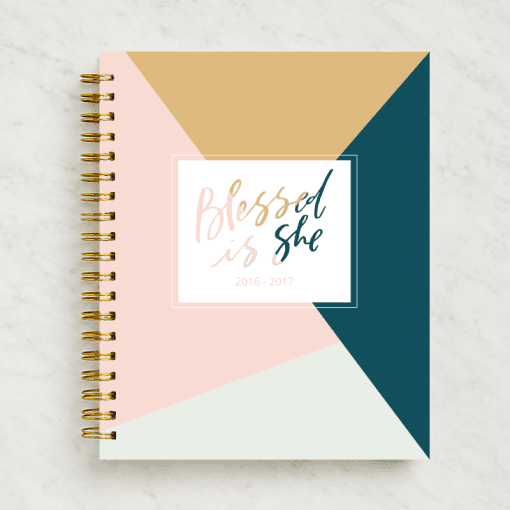 Speaking of planning, Blessed is She is the Catholic women’s ministry I work for managing and editing the daily devotions. Something really amazing we just put out is this liturgically based calendar, the brainchild of Jenna, our founder, and the hand-art child of Erica Tighe of Be a Heart design, with contributions from our writing and creative team. It’s gorgeous. I have my copy on the way and want to give one to one of you. It runs Sept 16-Dec 17, has room for to-do’s, etc, and feast days, prayers for each month, and little nooks and crannies for you to simply be and breathe a little. Go buy yours online at the pre-sale discounted price or hope you win big! follow Blessed is She on instagram or Facebook. I’ll pick a random winner Friday morning! I’m in the Northwest Region group. Thanks, Nell! I’m in the Canada group. Planner and liturgical calendar??? Sign me up! I’m in the southern region! I would be in the Southwest group. This looks wonderful! Would love to win, as I cannot afford to buy one at this time. Thanks for the chance! I am in the Northeast group on Facebook. I’m in the Southern group! This planner looks amazing! The Midwest Group! So excited someone is making liturgical planners that actually have room to…well, plan! Thanks for the chance! This is wonderful! I follow BIS on IG and FB and get the emails. I’m in the Midwest Group! Thanks!! I am in the Southern region and follow on Instagram and on FB. I’m following BIS everywhere like others have mentioned, the community is such a gift! I’m in the MN group and the Midwest group as well! I would love love LOVE this planner! I am already in the Midwest regional group – Wisconsinites represent! Thanks, Nell! Following on Facebook from the Midwest region. I’m in the southeast group. MN & Midwest! This planner is gorgeous! 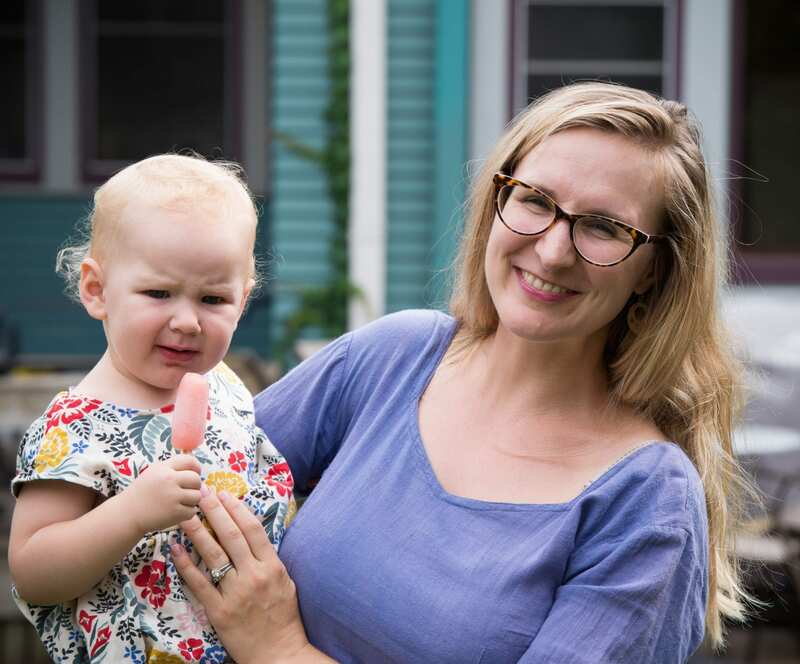 I definitely relate to the type of summer you’ve had…except I’m not pregnant…sooo. Lol! We’re starting to homeschool next year so I would love to try to streamline every thing with this planner! I follow Blessed is She everywhere and am in the Midwest and Southern Groups– Louisville seems to be confused to what region we are. Haha! Oh I’ve had my eye on this for days!!! It looks so lovely. I’m in the Southwest region. Definitely following BIS already. Would love this!! Midwest Region! Love Blessed is She!!!! I want one so bad!! I am in the Midwest AND Northwest as we are moving to Seattle the 15th. Me! Just joined the southern region. I LOVE this planner. I’m in the Midwest, Minnesota! Love BIS! I am in KY.
Midwest! Minnesota to be exact! My Google calendar is great, but my to-dos and thoughts have to be done with pen and paper. After a family tragedy, I realized this is the only way I can focus my foggy mom brain. Midwest region, what what! ;) I’m dying for one of those planners, but I’m trying soooooo hard to be good because I definitely had just bought one already when I saw this one. But I’d totally trash my old one if I won this! I am in the Northeast and Southern group…I feel like Charlottesville, Va is a mix of both. I would love a planner to help me keep organized for my December 3rd, 2016 wedding!!! Southwest we need a planner UP IN HERE! I’m in southern group! Love the planner! I’m already in the Midwest region AND the Minnesota group. Would love to have a planner to give away as a door prize for my mom’s group! Northeast! And we just made a little local group to watch the workshops at my friends church. So excited! Such an amazing planner! I am the South… sweet home Alabama! I follow the Midwest group! I’m following BIS on Instagram and I’d be in the Northeast Region. Now here’s a day planner I would actually use! Following BIS on IG and FB. I’m in the Northeast Region. Midwest region! WI we are practically neighbors! I LOVE this planner! I’m following Blessed is She on Facebook and am part of the Minnesota Community:) Such a great group of women. On facebook in the BIS Southern group. Yes please! I follow blessed is she everywhere and I’m in the southwest region group! Praying! I’ve gotten quite a few Canadian ladies hooked on Blessed is She including 2 of my daughters (17yrs and 20yrs) and all the young ladies in their youth group! I’m in the Northwest Group on Facebook! I’m in the Midwest region group and would love to use a paper calendar again! Love BIS, and I am in the Southern group! I’m in the Southern Region, ya’ll! Would love this beautiful planner! So happy to hear your sweet baby GIRL is growing well and SOOO excited about this Blessed is She Planner! Beautiful planner! I am in the Midwest region!! How beautiful!! I’m in the Southern group. Following on Instagram and FB. I would be in the Midwest Group… Illinois. Love BIS on Facebook and Instagram! I’m in the Midwest region and I’ve been drooling over this stunning planner! I follow Instagram and Facebook. I live/am apart of the southern region. I follow on Facebook. I’m Midwest. Thank you. So grateful for this opportunity…my husband was going to order me a planner but they’re sold out :( I’m in the Northeast region! Southern Region, NC. Thank you for doing this give away!! Gah! I hemmed and hawed about ordering one and now it’s too late and I regret it! Hoping so hard to win one.. I follow BIS on both insta and FB and I’m in the Southern Region! Pick me!! I’m in the Midwest region Blessed is She! These planners are so beautiful!! This planner is literally everything I have ever wanted in an organizer; I have always desired the ability to pray about my day as I plan it, especially with the saints of the day written in! I would be a part of the Northeast Region on BIS! My friends and I all signed up for BIS at the same time and text each other often with encouragement and prayer found in the daily devotionals. What a gift it has been in my life! I would LOVE such a planner and need one. I’m following from the Midwest region. God bless! Midwest represent! And I’m so bummed I was late to the game for the presale before it sold out, so this give away is providential. I love the BIS community! I follow on ig and am a proud member of the Midwest Group!! BIS is such a beautiful sisterhood to be a part of! Oh I’d love to win! I’m in the Midwest region, Ohio!! Northeast region! Ocean City, NJ Would love love love one of these beauties. Thanks for the opportunity! Love your blog! I’m in the Northeast group! 4)I would consider myself a planner snob. I’ve tried most of them out. This one seems just PERFECT! 5) pick me, pick me!!! I am in the Canada group! Hello from Texas! I follow you and Blessed Is She on Instagram but I don’t have a Facebook. I think it’s a good thing the planners are sold out (yay!) but I’m sad I didn’t get my act together in time! Thanks for the opportunity!